Just a few days before the end of our crowdfunding campaign here on Companisto, we have very good news that we would like to share with you. We are very proud to announce that we have agreed on a partnership with major German publisher Hubert Burda Media. Moreover, we will present our art portfolio at the ARTMUC art fair in Munich from 14 through 17 May. Pablo & Paul has started a merchandising partnership with major publisher Hubert Burda Media. This partnership consists of the joint marketing of exclusive art editions. The first joint marketing campaign will start in the third quarter of 2015 and will be accompanied by advertising activities and events. Hubert Burda Media is one of the largest media companies in Germany and is active and well known around the globe. The company's most popular magazines include FOCUS, Bunte, and Donna. We are glad to have acquired such a strong partner in the media industry. Consequently, Pablo & Paul will be able to significantly increase its reach in terms of people interested in art and lifestyle. 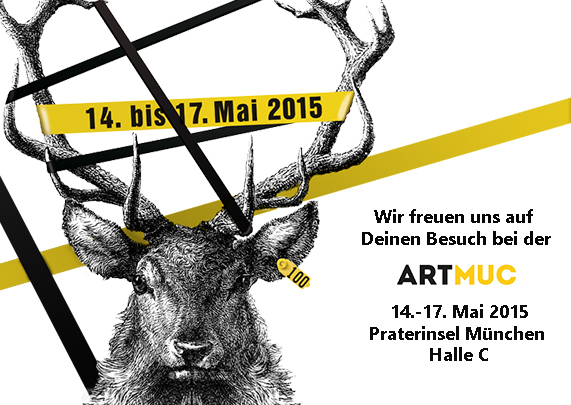 From 14 through 17 May, we will present our artworks at the ARTMUC in Munich. Last year, this sales fair was attended by approximately 5,000 people. You will find our exhibition stand in hall C. At this stand, we will show works by Christoph Lammers, Marco Reichert, Eveline Kooijman, Stefan Wieland, and Doppeldenk, and we are looking forward to meeting many Companists there. Finally, we would like to thank all Companists for their confidence and their support! Also, thank you for the feedback!